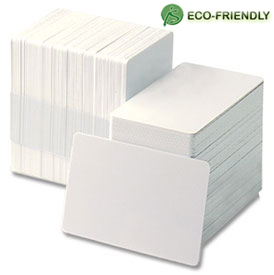 Biodegradable CR-80 credit card size, 0.030 in. (30 mil) white cards, in pack of 500. Replaces standard PVC cards. Plus-Card Bio– the first of a series of environmentally conscious plastic cards for the desktop market.